Not only have they clinched the signing of Pierre-Emerick Aubameyang, but Mesut Ozil has extended his Emirates deal as well on monstrous £350k/week terms. Although they did lose 3-1 to Swansea last night and are eight points behind Liverpool, in fairness. Many Reds hoped Liverpool would approach Auba, especially as we’re armed with a mammoth transfer budget following the Coutinho sale, but Jurgen Klopp was never keen. 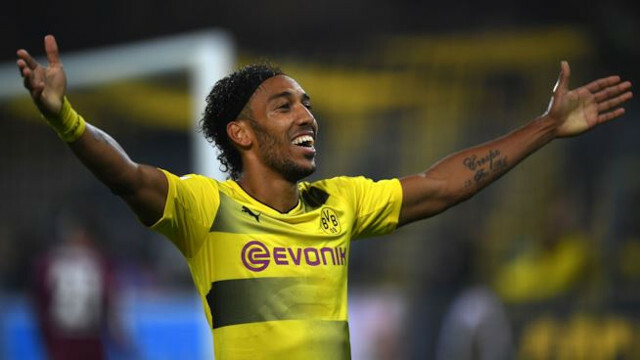 For the German, Auba plays where Roberto Firmino does, and he doesn’t need to spend £60m on a player to replace his brilliant Brazilian – who’s been involved in 29 goals this season. “Auba is really a good guy,” the Liverpool boss told the Independent. “Of course, reading the newspapers, you ask yourself if all these things must happen. The fact is that in Dominic Solanke and Danny Ings, we don’t have much in terms of backup for Firmino – but Aubameyang would have potentially been overkill. It’s more an attacking midfielder / playmaker that we could have done with really, following Coutinho’s departure and Adam Lallana’s regular injuries. Last night, Emre Can, Jordan Henderson and James Milner started and did well – but on many an occasion those players haven’t been able to break down opposing defences.